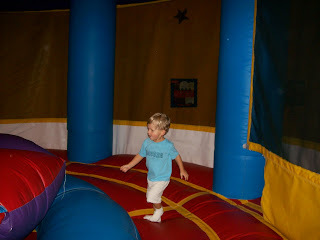 Here are some pictures of Dawson playing at Pump It Up. 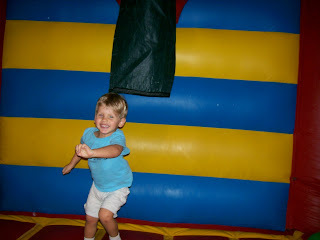 He had a great time! 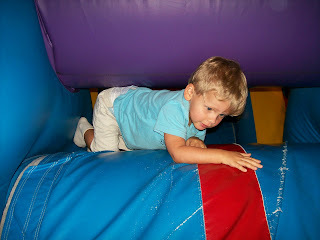 Climbing one of the hills on the obstacle course. 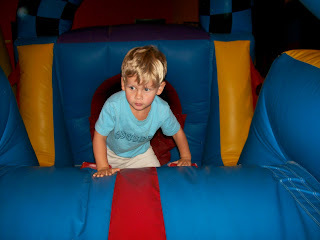 Squeezing between a tight spot in the obstacle course. 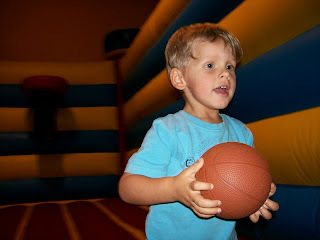 Playing basketball in the basketball jumper. 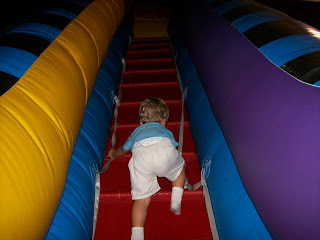 Climbing the ladder to go down the giant slide. 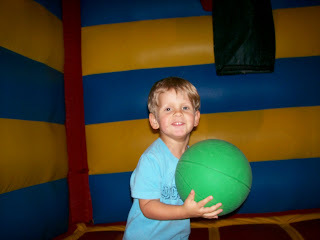 Playing in the the big round jumper.